Vertical jump test (VJT) is one of the important determinants of physical fitness. VJT score in school going children of West Bengal, India has been reported. However, pertinent data in young sedentary Indian males and females are unavailable. Moreover, the relationship of VJT with anthropometric parameters and different components of body composition has not yet been explored in Indian context. Debatable findings have been reported regarding the impact of body composition on VJT score. The present study was aimed to evaluate the VJT score in young sedentary Indian university students and its relationship with anthropometric parameters and different components of body composition with special reference to gender variation. Healthy sedentary university students (males n=40 and females n=40) with similar socio-economic background and age group of 21–25 years were randomly sampled for the study from the post-graduate section of the University of Calcutta, Kolkata, India. VJT was evaluated by Sargent Jump Test, and body composition was determined by skinfold measurements. Body height, body mass, %Fat, Total Fat (TF), LBM and VJT score depicted significant (p&lt;0.001) difference between male and female groups. The VJT scores obtained in the male and female groups were in the range of below average and poor, respectively. Physical parameters did not influence the VJT score in both genders. In the present study the VJT score exhibited significant (p&lt;0.001) negative correlation with %fat, individual skinfold, sum of skinfolds, and TF. Hence, body fat content posed as a hindrance to achieve higher jumping height, especially in females, where the lean mass helped to achieve greater VJT score in males. 1. Aragón F. Evaluation of Four Vertical Jump Tests: Methodology, Reliability, Validity, and Accuracy. J Strength Cond Res. 2000;4:215-228. 2. Arkinstall M. VCE Physical Education 2nd. Malaysia: Macmillian 2010: 248. 3. Aslan CS, Koc H, Aslan M, Ozer U. The Effect of Height on the Anaerobic Power of Sub-Elite Athletes. World Appl Sci J. 2011;12:208–211. 4. Borràs X, Balius X, Drobnic F, Galilea, P. Vertical jump assessment on volleyball: a follow-up of three seasons of a high-level volleyball team. J Strength Cond Res. 2011;25:1686-94. 5. Burkett LN, Phillips WT, Ziuraitis J. The best warm-up for the vertical jump in college-age athletic men. J Strength Cond Res. 2005;19:673-6. 6. Cazas VL, Brown LE, Coburn JW, Galpin AJ, Tufano JJ, Laporta JW et al. Influence of rest intervals after assisted jumping on bodyweight vertical jump performance. J Strength Cond Res. 2013;27:64. 7. Chatterjee S, Chatterjee P, Mukharjee PS, Bandyopadhyay A. Vertical jump test on school going boys and girls. Ind J Physiol & Allied Sci. 2004;2:58. 8. 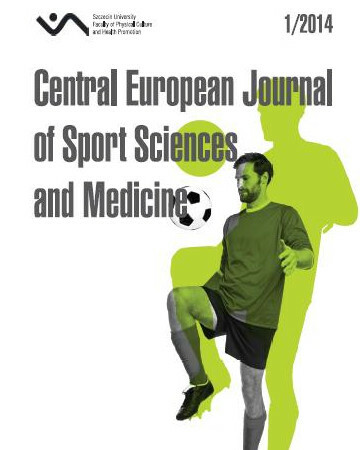 Ciccarone G, Croisier JL, Fontanin G, Martelli G, Albert A, Zhang L. Comparison between player specialization, anthropometric characteristics and jumping ability in top-level volleyball players. J Sport Med & Physical Fitness. 2007;61:29-43. 9. Coksevim B, Caksen H. Evaluation of exercise performance in healthy Turkish adolescents. Int J Neurosci. 2005;115:1033-9. 10. Davis DS, Briscope DA, Markowski CT, Saville SE, Taylor CJ. Physical characteristics that predict vertical jump performance in recreational male athletes. Phys Ther Sport. 2003;4:167-174. 11. Fattahi A, Ameli S, Sadeghi H. Relationship Between Anthropometric Parameters with Vertical Jump in Male Elite Volleyball Players Due to Game’s Position. Middle-East J Sci Res. 2013;13:1016-1023. 12. Jackson AS, Pollock ML. Generalized equations for predicting body density of men. Br J of Nutrition. 1978;40:497. 13. Janine MR, Dizon, Somers KG. Making Filipino Taekwondo Athletes Internationally Competitive:An International Comparison of Anthropometric and Physiologic Characteristics. J Sport Medic Doping Studie. 2012;2:1. 14. Markovic G, Jaric S. Is Vertical Jump Height a Body Size-Independent Measure of Muscle Power?. J Sport Sci. 2007;25:1355–1363. 15. Maud P, Shultz B. Gender comparisons in anaerobic power and anaerobic capacity tests. Br J Sport Med. 1986;2:51. 16. Nahdiya A. Prediction of Vertical Jump Height from Anthropometric Factors in Male and Female Martial Arts Athletes. Malays J Med Sci. 2013;20:39-45. 18. Noorul HR, Pieter W, Erie ZZ. Physical Fitness of Recreational Adolescent Taekwondo Athletes. Braz J Biomotricity. 2008;2:230–240. 19. Roschel H, Batista M, Monteiro R, Bertuzzi RC, Barroso R, Loturco I. Association between Neuromuscular Tests and Kumite Performance on the Brazilian Karate National Team. J Sports Sci Med. 2008;8:20–24. 20. Sargent D. The Physical Test of a Man. Am Phys Edu Rev. 1921;26:188. 21. Shin N, Hyun W, Lee H, Ro M, Song K. A study on dietary habits, health related lifestyle, blood cadmium and lead levels of college students. Nutr Res Pract. 2012;6:340. 22. Siri E. Body composition from fluid space and density. Techniques for measuring body composition. In J Brozek & A. Hanschel. 1961;223-244. 23. Stangelli LC, Dourado AC, Onken M S, Da SC. Adaptations on jump capacity in Brazilain volleyball players prior to the under-19 World Championship. J Strength Cond Res. 2008;22:741-749. 24. Stec M, Smulsky V. The estimation criteria of jump actions of high performance female volleyball players. Research Yearbook. 2007;13:77-81. 25. Wargocki P, Wyon P. 2006. “Research report on effects of HVAC on student performance.” ASHRAE J. 2006;22-28. 26. Xing HL, Qi N, Sun M. Analysis development of body physique and spike height of Chinese elite male volleyball players in league match in recent ten years. Journal of China Sport Sci & Tech. 2006;42:47-49. 27. Yamamoto K, Matsuzawa M. Validity of a jump training apparatus using Wii Balance Board. Gait Posture. 2012;12.